People who put in a BrightStar Care application are looking to join a company that strives to give their clients, either at home or in a nursing home, the best care that they possibly can to make life easier on them and their families. Links to apply for jobs at BrightStar Care are at the bottom of the page. BrightStar Care has a set of values that they strive to maintain in all of their franchises. Those values include Client-Centered Care, Compassion, and Dependability. They want their clients to know that they care for them as if they were family and will be there for them twenty-four seven. Services that this company provides include general nursing homes, accident victims, disabled individuals, and people who just need a little bit of help getting around their home, among others. The company strives to offer any services that a person could need at their location, whether it’s at home or in the nursing home. Currently, BrightStar Care has over two hundred locations across the United States with some international locations. They’ve been on the Top Ten List of Women Owned Companies since 2011, holding one of the top spots on the list since they’ve started. 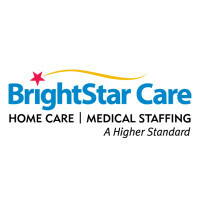 At the corporate level, BrightStar Care jobs are based out of Chicago, Illinois. Several of these positions are geared towards making sure that all of the offices that BrightStar Care has across the United States have the proper certifications and accreditations while giving the outstanding care that they’re known for. Locally, people with BrightStar Care careers work directly with the clients to provide them with the care they need. Most of the care positions are geared towards making sure that the clients are well cared for and that everything is going smoothly with their customers. How old do you have to be to work at BrightStar Care? Age requirements vary by position. As you browse BrightStar Care jobs online, make sure to read all of the position requirements carefully because several jobs need various degrees, certifications, or experiences. Benefits are included with BrightStar Care jobs. Those benefits include a plan where when you meet and exceed customer needs, you get a bonus; a challenging and exciting area to work in; and flexible scheduling to work with you and your family’s needs. Speech Pathologist – You’ll work with people who cannot speak, have trouble speaking, or have communication impairments, among others. By diagnosing the issue, you’ll create a treatment plan to help them get better. Compensation is around $75,000 a year. Registered Nurse – As needed, you’ll offer treatment to people who need care in their homes. You will make sure that the client is receiving adequate care and, if needed, supervise staff members. Compensation is around $60,000 a year. Physical Therapist – When needed, you will treat and assess any issues that a client may have, generally following a physician’s orders. As you will be working in peoples’ homes, you will need to check any risk factors that may hinder your client’s recovery, like areas where they can fall and general home safety. Compensation is around $80,000 a year. Phlebotomist – You will work under the supervision of a registered nurse to collect blood samples from patients. As you transport them, you’ll make sure that the samples maintain their integrity and reach the lab safely. Compensation is around $20,000 a year. Why do you want to work for BrightStar Care? This is an extremely common question, so you should be prepared for it. Talk about what drew you to the company, whether it was the company culture or benefits and why it’s your first choice in places to work. What experience do you have? Highlight any of your relevant experience. If you don’t have any, talk about what you can bring to the position and offer the company instead. Use plenty of examples to back up and support any claims that you may make. Many positions will require you to work with people who may have had surgery or be stuck in their home, so you may be asked: Is there anything that you’re uncomfortable about? Be honest, if you don’t do well with blood, talk about it and how you’re working on getting better. All of these positions will have you working in someone’s home that won’t be built for the various jobs you may have to do, so you may be asked: Are you comfortable doing your job in a confined space? Be honest. If there’s something about working in a person’s home that makes you uncomfortable and feel as though you can’t do your job, talk about it. How to apply for BrightStar Care online: search for the position you’re interested in applying to in the area that you’re in. Once you’ve found it, read the position duties and requirements closely before filling out you BrightStar Care application. There is no printable application for BrightStar Care available on their website. Before attending your interview, do research on BrightStar Care and the industry in order to come up with a list of questions that you can ask. This may seem a bit excessive for an entry level position, but it will place you above the other candidates as it shows that you think ahead. Dress nicely for your interview in business casual because your interview will take place in a semi-formal setting. Have a positive and friendly attitude when you attend your interview as it will give a good impression and show that you’re willing to work with customers. Show gratitude at the opportunity to interview with BrightStar Care. Inquire about the best way to check on your hiring status as few candidates will learn if they got the job during their interview because BrightStar Care will want to screen all candidates before making a final decision. DaVita: Visit the DaVita application. Molina Healthcare: Checkout the application page for work at Molina Healthcare. Honda: See this page for jobs at Honda. Rite Aid: For career opportunities, fill out the Rite Aid online application. O’Reilly Auto Parts: O’Reilly Auto Parts offers opportunities for both, beginners and experienced roles.